Here at Born Again Sports Therapy we treat everyone from professional athletes through to office workers and company directors. Whether you have suffered an injury or are trying to cope with stress or debilitating pain, we can help. A range of physical therapy treatments are widely available and alongside sports massage, we are also able to provide holistic/Swedish massage, ultrasound therapy and reflexology. We believe that sports massage offers an excellent treatment for a wide range of problems and if necessary we can provide a multi-treatment approach to bring relief from pain, injury or stress. We work with clients in Oakwood, Roundhay and treatment with Born Again Sports Therapy begins with a free consultation appointment for all new clients. Depending on your requirements we can use a range of techniques including deep tissue massage, soft tissue release, muscle energy techniques, Neuromuscular techniques and stretching to provide instant relief from anyone who takes part in sport or who suffers from sciatica, back pain or whip lash, for example. 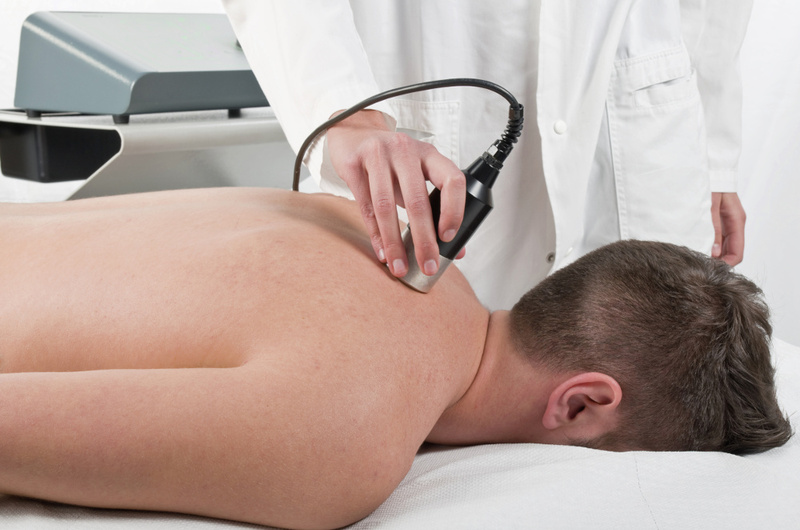 Although sports massage normally brings immediate relief, in some cases it may be necessary to arrange a course of treatment, especially when a long-term problem has been allowed to build up. We are able to offer our clients in LS8 a range of techniques and treatments and alongside sports massage; we also provide Swedish/holistic massage, ultrasound therapy and reflexology. These treatments can all be used alone in in conjunction with other techniques to treat injuries and aid general wellbeing and we’ll work closely with you to identify the most appropriate technique to suit your individual requirements. Born Again Sports Therapy was established and is run by Andy Kirk, a previously successful Rugby League player. Andy has been incredibly passionate about sport since a young age and has enjoyed a long career playing for a number of well-known clubs including Leeds Rhinos, Salford City Reds, Widnes Vikings and Wakefield Wildcats. Thanks to his many years of experience playing one of the toughest professional sports in the world, Andy understands only too well the pain and frustration that injuries can bring. Andy is proud to be able to use his expertise and knowledge to help bring real benefits to clients from all walks of life. If you would like to find out more or to arrange a free consultation appointment, why not contact Andy Kirk on 07773 209281?